Protests have rocked Sudan since December, with demonstrators accusing Bashir's government of mismanaging the economy and causing soaring food prices as well as regular shortages of fuel and foreign currency. Demonstrators chanting "Freedom! Peace! Justice!" have continued to rally despite a state of emergency announced in February, although in recent weeks they have been largely confined to Khartoum and its twin city of Omdurman. 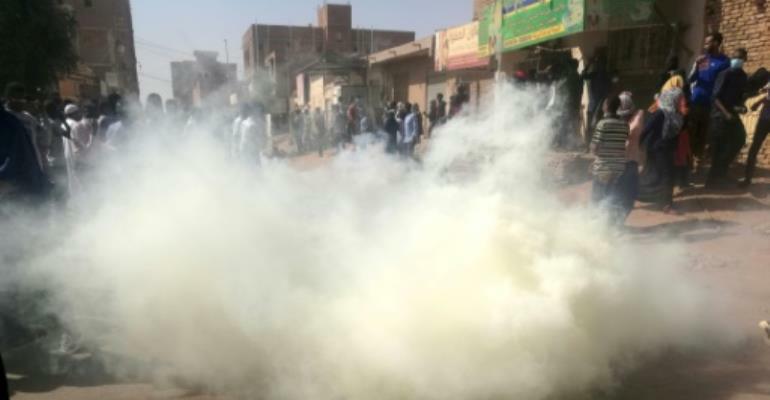 On Thursday protesters demonstrated in areas of Khartoum and Omdurman, including in the capital's districts of Burri and Jabra where they were confronted by riot police with tear gas, witnesses said. Protesters were chanting anti-government slogans and urging residents to join them, a witness told AFP, without revealing his name for security reasons. Protests first broke out on December 19 in response to a government decision to cut vital bread subsidies, but since Bashir imposed a nationwide state of emergency in February to quell the demonstrations, their scale and intensity has shrunk. Bashir told parliament earlier this week that the economic concerns raised by demonstrators were "legitimate". "The economic crisis has impacted a wide section of our people," Bashir said on Monday. Protest organisers have called for widespread protests on Saturday.